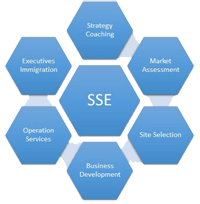 For Sunshine State Enterprises, the selection of the business site contains a bit of both science and art. We are proud to use finely-tuned technology to gather and present the most relevant, useful information to help with the process of site selection. We are also skilled at merging several data points together to enhance our research. With this information, enterprise partners can make the best possible decisions, which can influence their odds of success or failure. On December 1, 2012, the New York Times published an interactive article, titled “Explore Government Subsidies,” that allows users to explore incentives offered by the U.S. (on the national, state, county, and city level) to encourage business development. The amount given is just over $80 billion (USD). This money can be given in the form of training programs for workers, tax refunds and/or credits, grants, tax abatements, programs that offer low interest rates for financing, and loan guarantees, among other forms. Our experienced team, with extensive backgrounds in both international and domestic economic development, can make available access to such incentive programs. Small and medium international businesses can enjoy this access, just like larger-sized international and domestic companies. Thanks to our team’s experience in representation of government agencies (city, county, and national) who are involved in negotiations with companies of all sizes, in assistance of domestic companies seeking to export, and in organization of trade and sales missions, our partners can enjoy access to these incentive programs, just like larger-sized international and domestic companies.